Shalog: Warhammer 40 000: Deathwatch - Tyranid Invasion - Is it fit for the Emperor? Warhammer 40 000: Deathwatch - Tyranid Invasion - Is it fit for the Emperor? 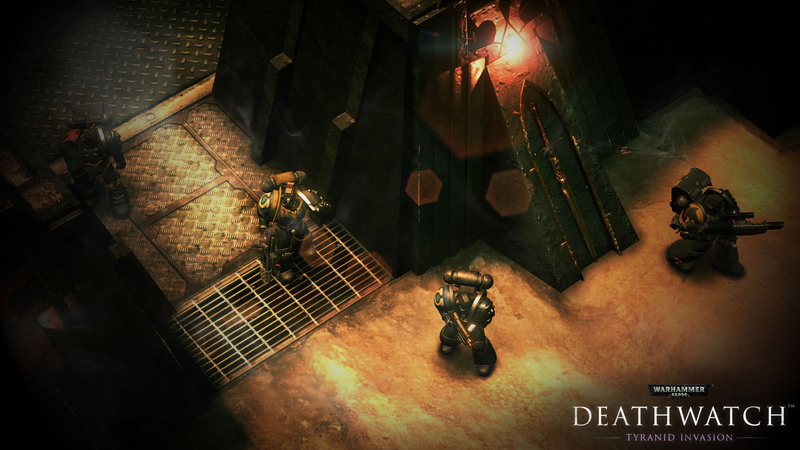 Warhammer 40K - Deathwatch is a turned based strategy game by Rodeo Games. It came out for PC on 16th of October and for iOS on 21st of August. In the game you will take control over the elite marine chapter Deathwatch who has the task to protect the Imperium of men against all alien races. Here I will tell you about the PC version of the game. The Deathwatch is an elite chapter of Space Marines composed of veterans from all other existent chapters. Their sole mission is to stay guard on the borders of Mankind and be the only obstacle between any invaders and the Imperium. In WH40K Deathwatch the dreaded Tyranids are back and your squads are the only ones who stand between the Swarm and the Imperium. The game is separated in ten Chapters each with its own four missions. Each Chapter from the Campaign follows an attack from the Tyranids and the actions that the Kill Squad takes to repel the invaders. While the number of 40 missions is good and each can be replayed in three different difficulties, the missions themselves are a bit repetitive. Most of the time you will need to move from point A to point B and/or survive for X number of turns. Sadly these are not the only flaws of the battles. Probably the biggest problem that I had with the game is the slow speed at which everyone moves and that it cannot be changed. Also in battle everything is rather ugly and there is certain lack of basic for such kind of game mechanics. I mean at its base Deathwatch is X-COM with different theme and few twists. But unlike X-COM it is stripped from core mechanics such as covers or indication for line of sight. The only thing it has is overwatch and range indication. And while those mechanics are probably enough for the iOS version as there should be kept certain simplicity, but for PC are far from what is expected. And this lack of mechanics and polish on the look and gameplay is rather sad because I enjoyed it to certain degree and can only guess how awesome it would have been if some additional work has been put into the port. But let me tell you about the strange part of the game. The Spacemarines section looks awesome!!! Not kidding! All marines have great models, good level of details and beautiful backgrounds. But not in battle...no. Also there is good level of customisation for each marine. They will gain experience in battle and you can distribute it among their three base stats (health, accuracy and crit chance) or you can unlock perks and skills. The marines even have tiers and with higher tier come better stats and more skills and perks. After the end of each Chapter from the campaign you are rewarded with booster which will give you at random new weapons and/or marines. You can also buy boosters for in-game currency (only!). Both gear and marines can be sold for game currency. The weapons in similar to the marines fashion also has tiers. The interesting idea here is that the highest tier items are restricted for use only by certain chapters. The weapons like their users have good models and are really faithful to the originals. 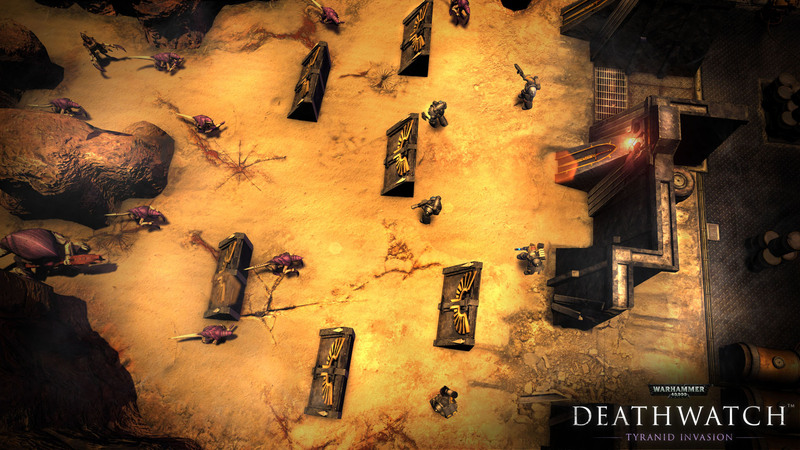 WH40K Deathwatch: Tyranid Invasion is a turn based game which recently got its port from iOS to PC. At its core gameplay it is a tactical shooter similar to games like X-COM and Massive Chalice, but unlike the two it lacks a lot of mechanics usually found in this type of games. Not to mention that the game is neither good looker nor offers much of variety in terms of mission objectives. It is just a direct port fom iOS to PC without any additional effort put in it. This is a bit confusing because sections of the game like the Spacemarines one and the weapons inventory look really good. The game also offers a good amount of character customisation with unlockable skills and different tiers of marines. Not to mention that Rodeo Games has already done similar game in the Warhammer Quest Universe and ti has a lot more in it! It is sad because it could have been a rather decent 40K game. Instead now it will have to rely only on its Universe and name for any success. Публикувано от Sharki в 3:58 ч.